While Trump’s speech is leaving negative impacts on USD, EUR is still under the influence of the Brexit issues. 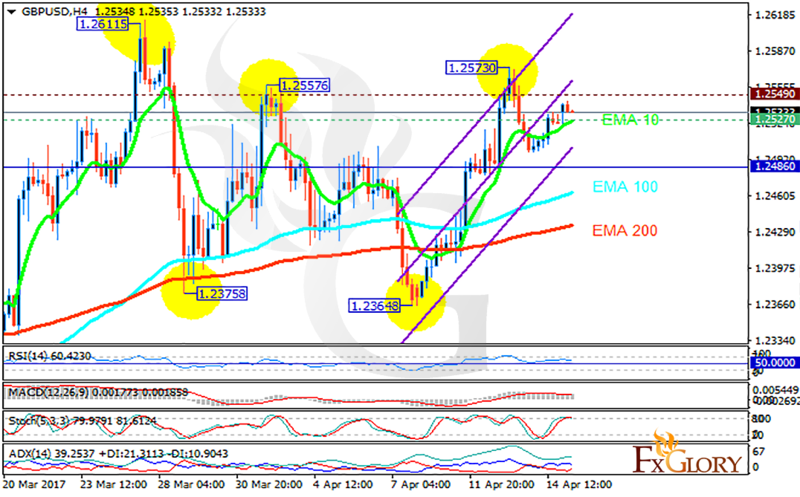 The support rests at 1.25270 with resistance at 1.242549 which both lines are above the weekly pivot point at 1.24860. The EMA of 10 is moving with bullish bias along the ascendant channel and it is above the EMA of 200 and the EMA of 100. The RSI is moving horizontally above the 50 level, the Stochastic is moving in high ranges and the MACD indicator is in positive territory. The ADX is showing buy signals. Regardless of the indicators, downward trend is the most likely scenario targeting 1.24.